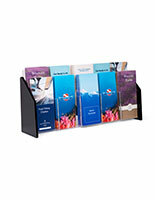 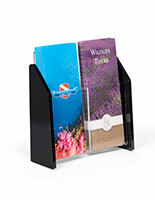 This single-pocket brochure holder for business has a clear transparent front to make contents accessible. 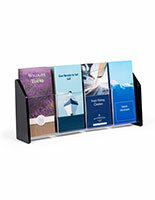 Wherever the public is a visitor, these supplies are a must-have to engage them in your line of merchandise or services! 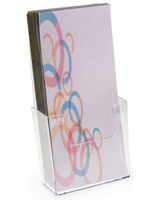 This single-pocket brochure holder, also known as a pamphlet stand, has one pocket for a stack of vertically presented brochures. 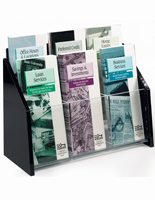 This information organizer is high quality, and perfect for just about any industry including on the desktop of a real estate agency, or hotel lobby. 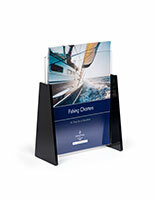 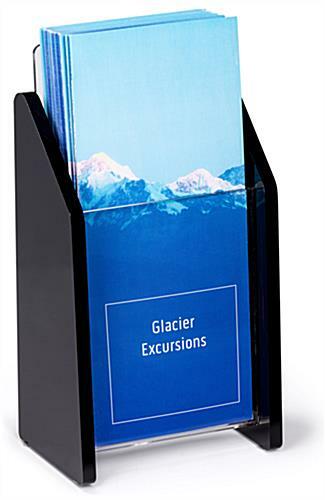 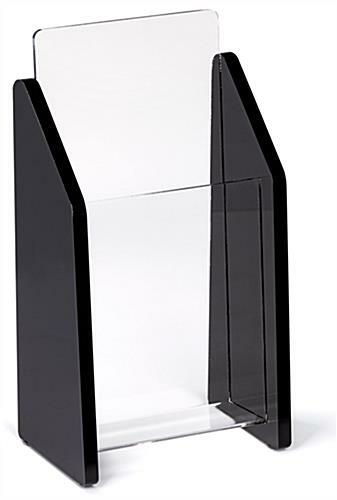 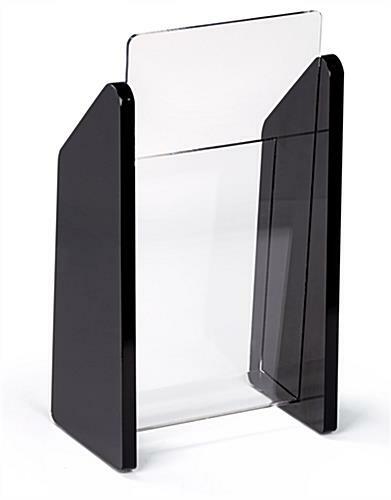 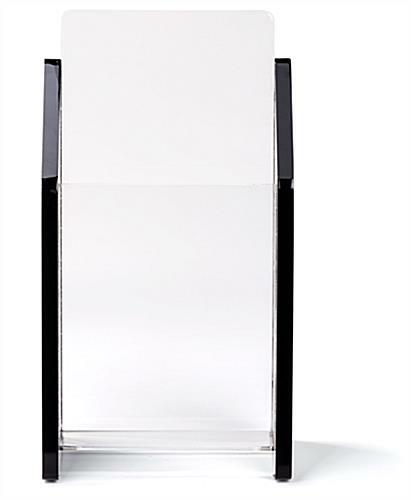 This brochure holder that is a literature display is made of clear acrylic with side panels in sleek black for added elegance. 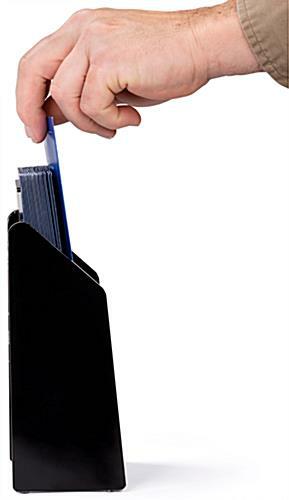 4.9" x 8.5" x 3.3"
4.1" x 5.0" x 8.5" x 1.5"